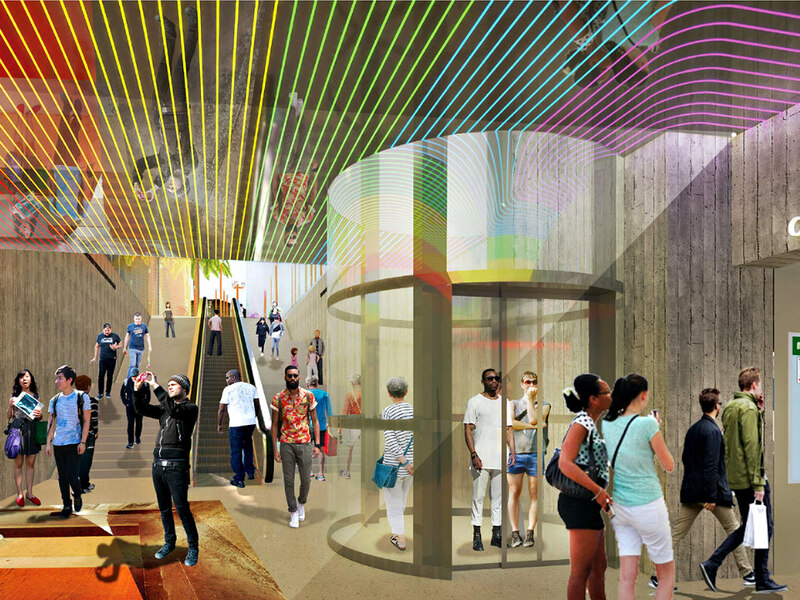 Friends of Harvey Milk Plaza, a neighborhood group overseeing the area's redesign, is again gathering feedback for ways to remake the plaza around Castro Station. The move comes weeks after the organization selected a winner in an international competition to redesign the space, which led many members of the community to express their opposition. The first session is scheduled for tomorrow, January 27th from 3-4:40pm at the Most Holy Redeemer Church (100 Diamond St.). As we reported last year, SFMTA is required to make the plaza surrounding Castro Station compliant with the Americans with Disabilities Act (ADA). However, those plans were pushed back a year so plans could also take the plaza's historical significance into consideration. Friends of Harvey Milk Plaza was created, and in coordination with the American Institute of Architects and a jury comprised of various city agencies, architects and designers, an international competition was launched. After reviewing 33 designs, judges announced three finalists. Neighbors had two weeks to chime in on the selected designs; in October, organizers selected Perkins Eastman's design. 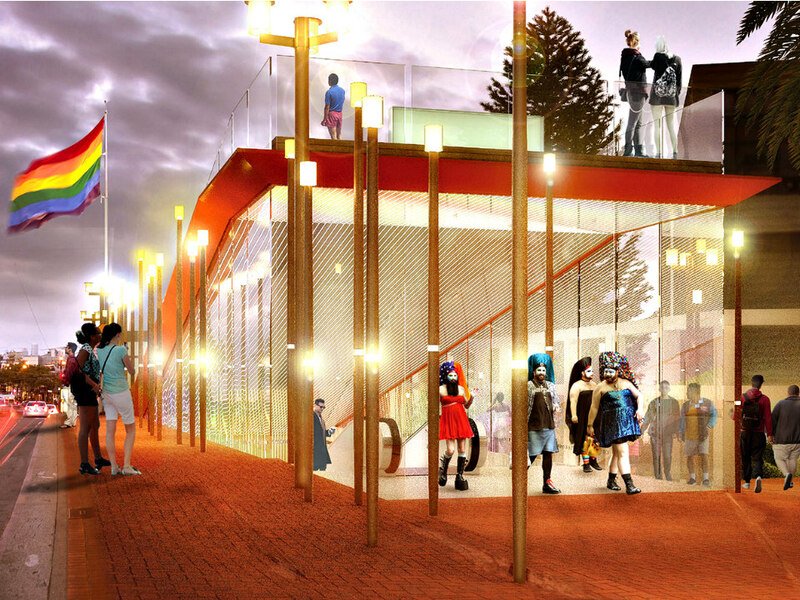 The architectural firm's concept included a slanted amphitheater, a field of LED candles and, most notably, shifting the station's entrance from Castro Street to Collingwood. But almost immediately, many neighbors and community members expressed concerns and reservations. 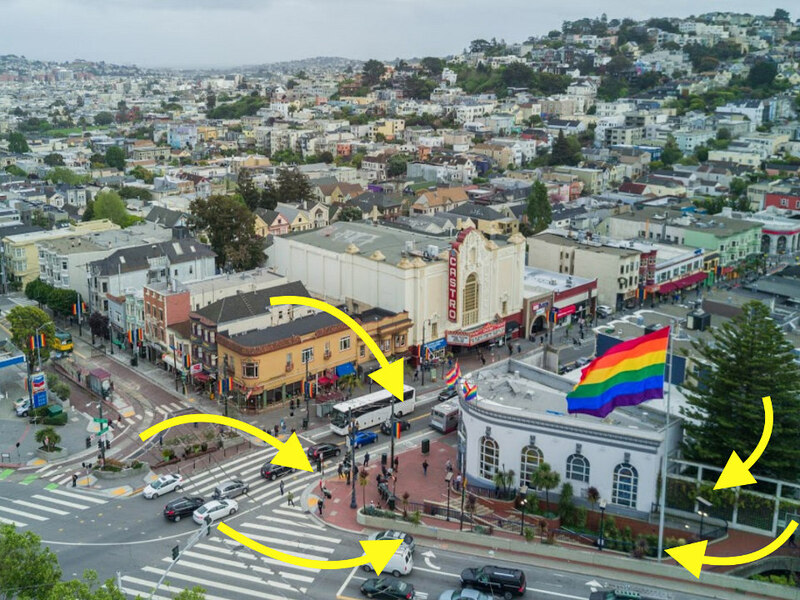 In December, Friends of Harvey Milk Plaza president and the Castro CBD's executive director Andrea Aiello wrote an op-ed in the Bay Area Reporter saying that there was no plan to implement the winning design. "The renderings from the competition should be understood by all to be conceptual sketches," wrote Aiello, "not finished design proposals." Justin Skoda, an associate with Perkins Eastman, described the upcoming community meetings as returning to square one. "We're going back and broadening the conversation with the community," he said. "Our job isn't to impose some design. It's to try to figure out what design is the best thing for the community." 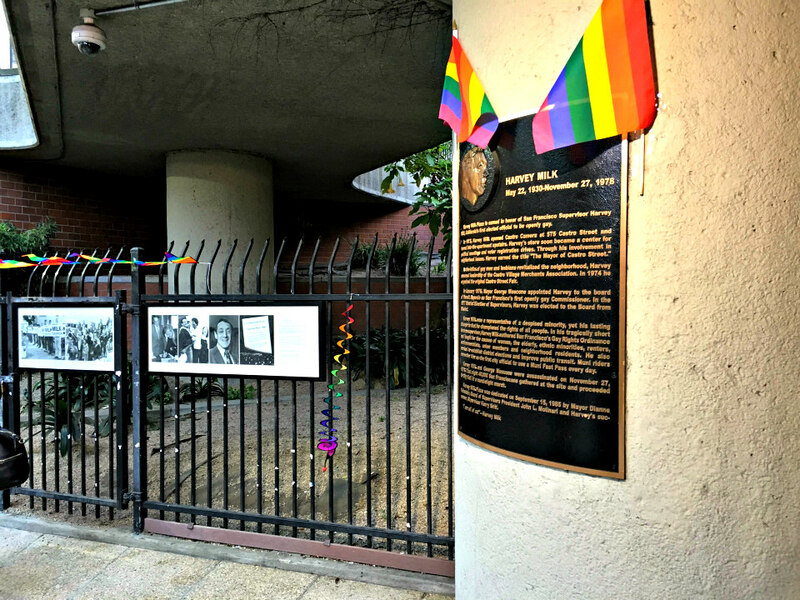 Representatives from Perkins Eastman will lead the participatory community charrette on Saturday, but Friends of Harvey Milk Plaza members will facilitate the session. Castro activist Cleve Jones is reportedly scheduled to make the opening remarks. 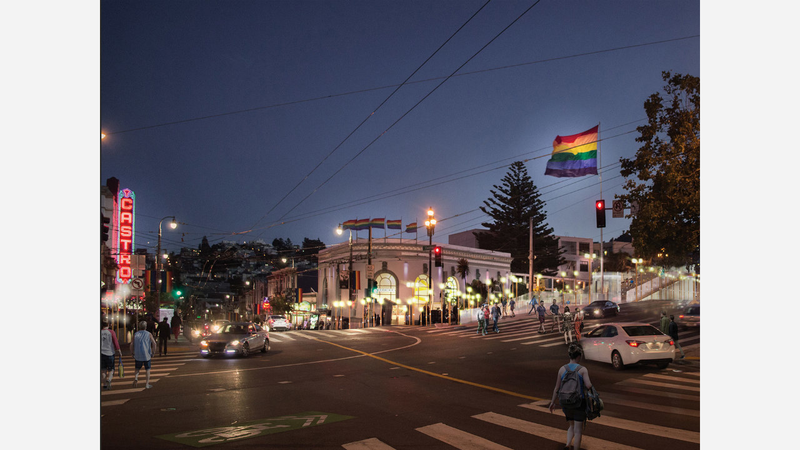 Brian Springfield, vice president of the Castro Merchants and a member of Friends of Harvey Milk Plaza, said that although the community "overwhelmingly preferred Perkins Eastman's design," it was never intended to be implemented. "We felt Perkins Eastman was a really good, capable team, and they came up with a really big idea," said Springfield. "But maybe not the right big idea." 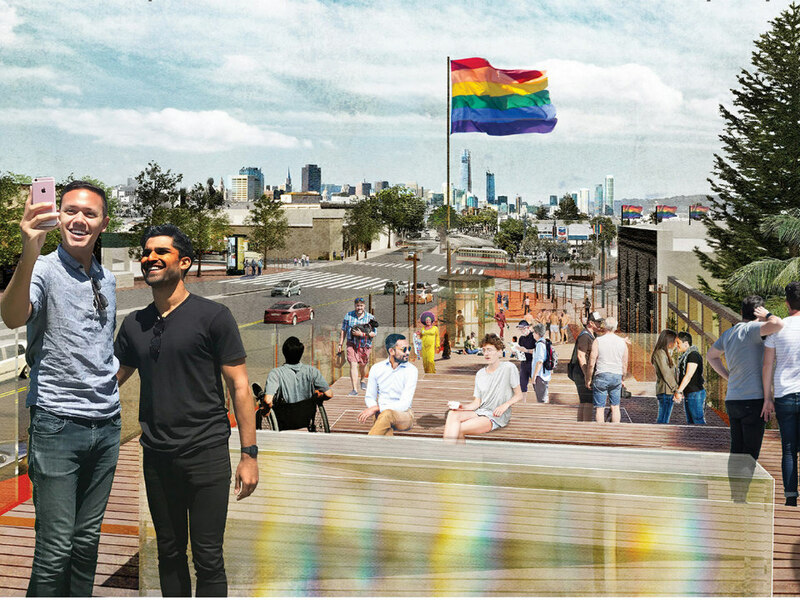 Even though Friends of Harvey Milk Plaza told Hoodline last year that the design competition would surface a final proposal, Springfield now says the competition's goal was to select a team with whom the group can collaborate. "Now that we have a design partner," he said, "we're going to restart the design process and involve the community in every step of the way." According to Friends of Harvey Milk Plaza, the upcoming four meetings will build off of one another. Therefore, organizers encourage community members to attend as many of the meetings as possible. "You can be involved in the entire process," said Springfield. "It's an amazing opportunity, and by the fourth meeting, we'll be looking at the new design for the new plaza." Future meetings have been scheduled for March 3rd and April 7th at Most Holy Redeemer Church, but the fourth meeting's time and location have yet to be finalized. This week, at a Eureka Valley Neighborhood Association meeting, Friends of Harvey Milk Plaza and Howard Grant, the architect who designed the station and plaza (and is opposed to its redesign) spoke to dozens of neighbors. "We haven't talked about the disruption and inconvenience demolition and replacement of the plaza would bring for the hundreds of Muni metro commuters and adjacent neighbors," said Grant in a prepared speech. "I believe Harvey Milk Plaza is a community asset that should be treasured, not demolished," he said.